Springfree Trampoline: Create Family Memories That Will Last a Lifetime! 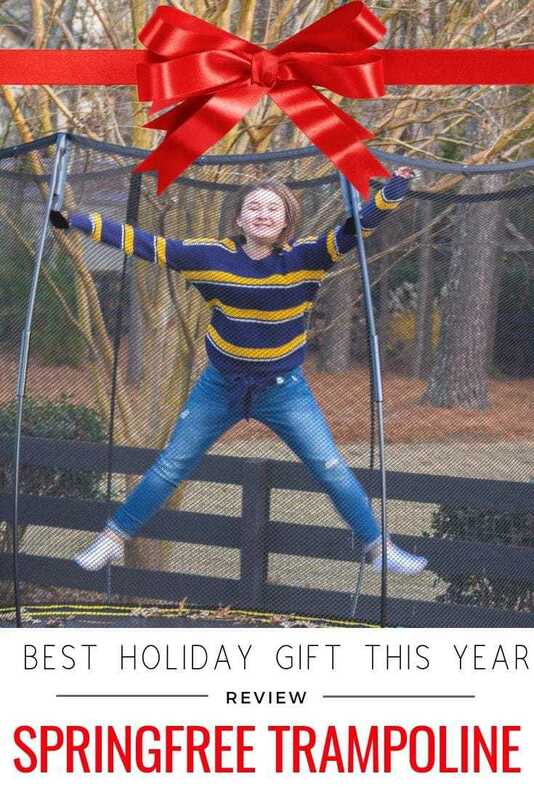 Home » Springfree Trampoline: Create Family Memories That Will Last a Lifetime! Family memories are classic, timeless and something that will remain in the memory bank of each and every person for many, many years to come. 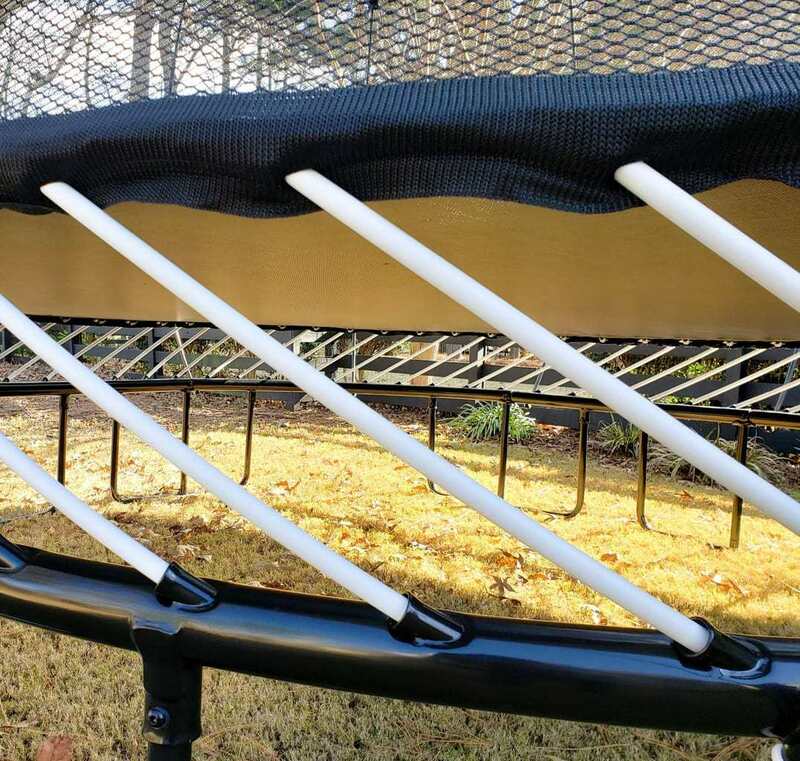 I am excited to introduce you to the sponsor of this post, Springfree Trampoline. All opinions are our own. In our home, we are fortunate enough that we have the time and opportunity to spend together doing amazing things that we all love to do. We tend to travel quite a bit throughout the year, especially during the holidays, but this year we’ve decided to keep the spirit of the season more family focused and have as many adventures together as we can instead of giving multiple gifts to one another and worrying over the stresses. If you’ve been on the fence about how to spend your holiday together, consider creating family memories rather than focusing on the clutter and pressure of gifts. It’s possible to find one “big gift” that the entire family will love and use together each and every day! While we didn’t necessarily state that we were giving up gifting presents this year, our family has agreed that this holiday season, we are focusing on activities that we can do together. The years of children growing up pass by so quickly that it’s important to cherish each and every opportunity possible. So many people tend to think that memories have to be made elsewhere rather than at your house but it simply isn’t true. This holiday season, give up the thought process that you have to go spend hours shopping till you drop or looking for an escape and instead make your home your own family-friendly holiday getaway. As a family, we decided that we wanted something that would keep us active while still having fun. 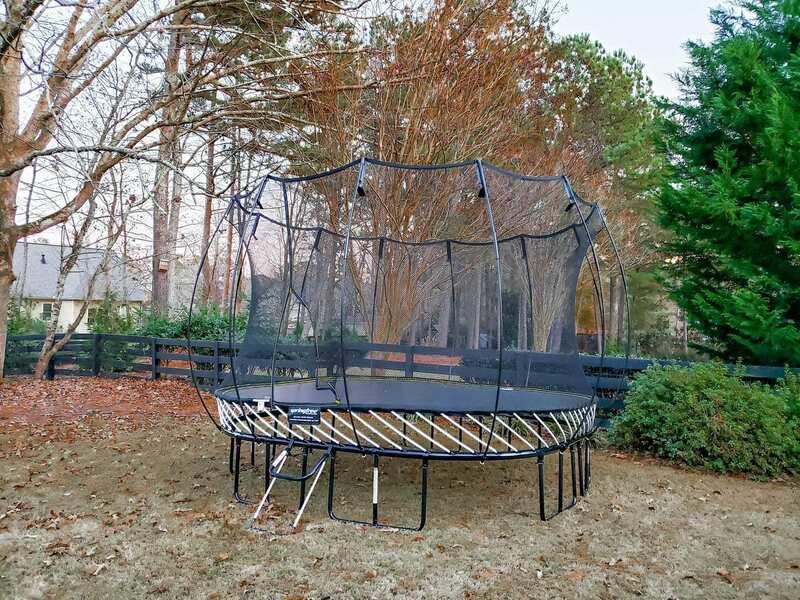 Immediately, we knew that the perfect addition to our home was a Springfree Trampoline. Not only is it something that we can enjoy year-round, but it’s something that we can do together as a family as well. When’s the last time you jumped on a trampoline as an adult? It’s seriously so much fun! Why Choose A Springfree Trampoline? Another great reason to buy and trust Springfree Trampoline? They were literally created with families in mind! Springfree believes that family memories are important and your own backyard at your home should be a place for safe and active play. Knowing this, it was a super simple choice to have the world’s safest trampoline as our new family-fun activity! No more worries about anyone landing on the hard outer ring of the trampoline. (That hard outer edge actually causes 90% of trampoline injuries!) Instead, SoftEdge™ is 30 times more shock absorbent then pads found on traditional trampolines. Not only is it rust and flake free, but it’s hidden underneath so there’s no way that anyone will land on it or harm themselves. You remember those old trampolines with the big metal springs on the side, right? Those days are gone thanks to the innovation of Springfree Trampoline! That means no pinching of the skin for anyone! Rest easy knowing that everyone jumping on the trampoline is kept in safety by the flexible safety net! That’s a huge peace of mind! Investing in this quality family time is priceless, and knowing that thousands of hours await myself and my family jumping together and laughing together is one of the best holiday “gifts” ever. For the first time ever, Springfree is discounting its trampolines – save up to $500 on the purchase of a trampoline plus get delivery and installation for $299 (reg. $399) with promo code SANTASAVINGS. Hurry, this offer won’t last long! This holiday season, give up the thought process that you need to give each and every person something individual as a gift for your family, and instead…invest in this amazing family activity that will bring your entire family joy and laughter all year long! What I found is that Springfree trampolines are safe as compared to other spring-based trampoline. Many times spring-based trampoline hit the jumper and maybe this is the reason people like Springfree trampolines.